Rochester, NY, Memorial Art Gallery; New Brunswick, NJ, Rutgers University, Zimmerli Art Museum, La Grande Manière: Historical and Religious Painting in France 1700-1800, 1987, no. 52. The present work was submitted by Tardieu for the 1789 Prix de Rome at the Ecole des Beaux-Arts. 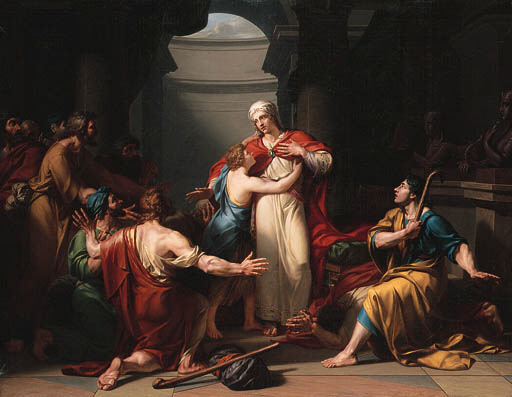 One of six finalists for this competition, the winning entries by Anne-Louis Girodet (1767-1824) and Charles Meynier (1768-1838) are in the Ecole des Beaux-Arts, Paris.